Vancouver's Kim Gray (of Skinny Kids fame) is getting ready to drop a new garage pop album under his own name called Perfume. Due out in the spring of 2016 on LP via Resurrection Records and cassette through Lolipop Records, the follow-up to 2014's Backseat Bingo EP was produced by Malcolm Jack (Dada Plan). 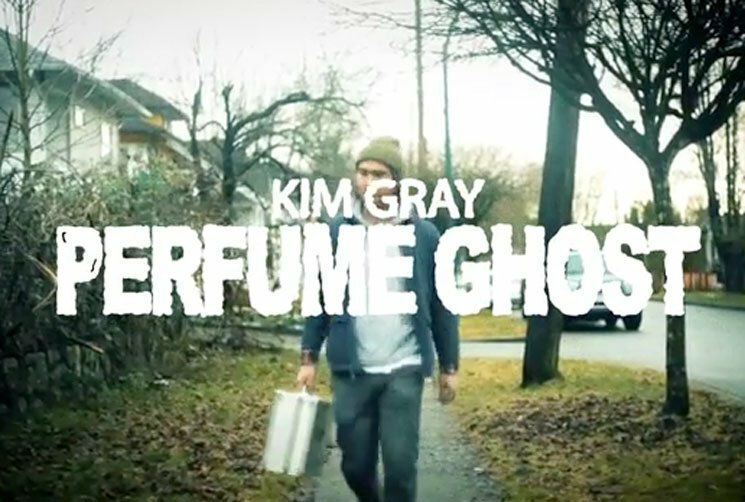 In advance of its release, Gray has shared the video for its first single, "Perfume Ghost." Directed by Lucien Cyr, the mood of the video matches the blissful lo-fi psych sound of the vaguely wistful track as it shows the dangers of playing Marshgammon or Xing Hai Shi Bu Xing, or something along those lines. Judging from this track, and its video, it looks as though Kim Gray have reached a level of artistic maturity deserving of a lengthy tour with Mac DeMarco. Until then, fans will have to settle for seeing them perform at the Lido in Vancouver on February 26. Judge the video for yourself below. Kim Gray Get Philosophical About Facebook on New Single "On Screen"